We talk with Elizabeth Marshall Thomas about her memoir, Dreaming of Lions: My Life In The Wild Places. She writes about her life with the Bushmen of the Kalahari Desert and other people of the Old Way. And wildlife conservationist Dale Peterson discusses his latest book, Where Have All The Animals Gone? My Travels with Karl Ammann. It’s about his efforts to document the bushmeat trade and other human impacts threatening extinction for apes, elephants and giraffes. We also speak with him about another of his books, The Moral Lives of Animals. When Elizabeth Marshall Thomas was a young woman, her father decided to take his family on a trip to a vast and unmapped wilderness. He chose the Kalahari Desert and the journey changed Thomas’ life. She spent years with the Kalahari Bushmen, the earliest people from whom all of us are most likely descended. She learned how they mapped their territory through memory, song and the encyclopedic knowledge they built up about their surroundings. Through her experiences with them and other peoples of Africa, Thomas learned the intimate rhythms that have connected human beings with the natural world for aeons. It is a knowledge we lose to our peril. Elizabeth Marshall Thomas went on to write both fiction and non-fiction books about Africa, including the Harmless People and The Old Way. She is also the author of books about domestic animals, the Hidden Life of Dogs and the Tribe of Tiger. Her novels, Reindeer Moon and The Animal Wife explore how life was lived in Paleolithic times. 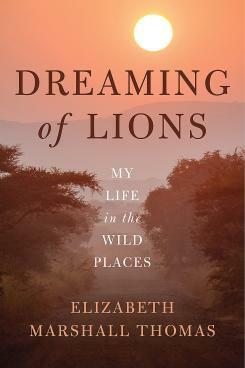 Now, Elizabeth Marshall Thomas has come out with a memoir, Dreaming of Lions: My Life In The Wild Places. It tells not only of her years in Africa, some of which were hair-raising, but also about her personal struggles with addiction and family tragedy. Our appetites are driving our closest animal relatives — gorillas, chimpanzees and bonobos — to extinction. One reason is habitat loss from encroaching human populations. But another reason might surprise you — the globalization of the bushmeat trade. It seems like eating endangered species gives a thrill to the global elite. And it’s not just apes: elephants are being decimated for the international ivory trade. Over the last fifteen years, wildlife conservationist Dale Peterson has teamed up with photographer Karl Ammann to produce three books about apes, elephants, and giraffes. 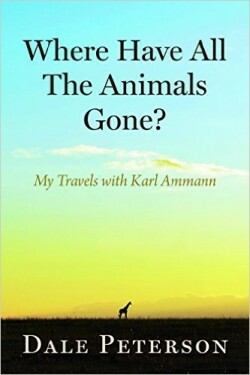 His latest is Where Have All the Animals Gone? We also speak with him about another of his books, The Moral Lives of Animals. Dale Peterson has written many books on wildlife conservation as well as a biography of Jane Goodall. He also created PEN-New England’s Henry David Thoreau Prize for Literary Excellence in Nature Writing.